View the full email here. Don’t miss out on our upcoming club events this month! And this weekend, come cheer on your favorite pros and fellow TriClubers at Ironman 70.3 Oceanside on Saturday, April 6. We will have a TCSD tent set-up at the TriClub Village located on The Strand this year, just south of Surfrider Way (see map below). 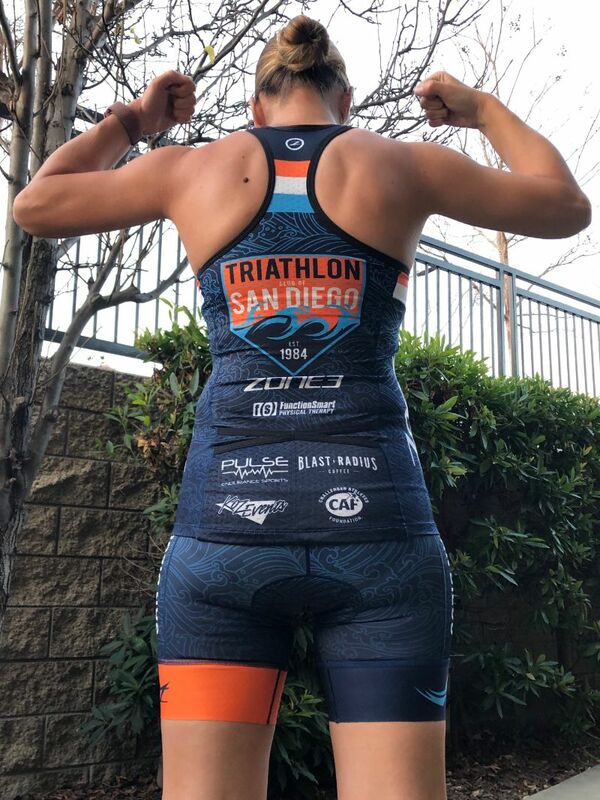 Then be sure to stop by our April Club Meetingon Sunday, April 7 to meet one of the best triathletes in the sport, and hopefully Ironman 70.3 Oceanside winner, Daniela Ryf! Also, don’t forget that Spring Sprint Triathlon is right around the corner and we need volunteers to help staff our expo booth on Saturday, May 4 and volunteer as swim buddies on Sunday, May 5. We are providing swim buddies for both the adult and kids races, so if you’re not racing, please consider giving back to those just starting the wonderful sport of triathlon. Feel free to e-mail Tom Washington, our swim buddy coordinator, at crimelabtom@yahoo.com if you have any questions. Visit our volunteer page on the website to sign-up for these and all of our upcoming volunteer opportunities throughout the year! We are happy to announce our new beginner workouts are underway! Come join us in April and keep an eye out for more Beginner Program announcements coming soon. Road Runner Beginner Run: We will be starting a new, beginner run every Tuesday at 6:00pm to be held at Road Runner Sports on Copley Drive. More details and an official start date in April will be announced soon. Fiesta Island Beginner Bike Workout: Come join our traditional Fiesta Island Bike Workout every Wednesday at 6:00pm, now with a new beginner-friendly option. Meet in front of the Youth Aquatic Center and look for the TCSD flag. Beginners Open Water Swim (BOWS): All beginners (and beginners at heart) are welcome to join the BOWS crew at Bonita Cove every Thursday at 6:00pm. And new this year, BOWS Time Trials the last Thursday of each month. Lastly, be sure to check out our own TCSD newsletter, TriNews, posted on the website for even more TCSD news! Check out April’s edition HERE. Special thanks to our publisher Dean Sprague, editor Alexis Barnes, and all the contributors that make it happen. Have content you would like to include in the next newsletter? Submissions are due the 18th of each month for the following month’s publication and should include photos whenever possible. Contact Dean at myhideano@hotmail.com for more information. Our new kits are here! Those who ordered TCSD kits from the online Zoot Store prior to February 1, 2019 should have received your new kit in the mail this past week. Please contact feedback@triclubsandiego.org if you ordered during the first store opening and have not received yours.